This photograph was probably taken on Nellis Park. 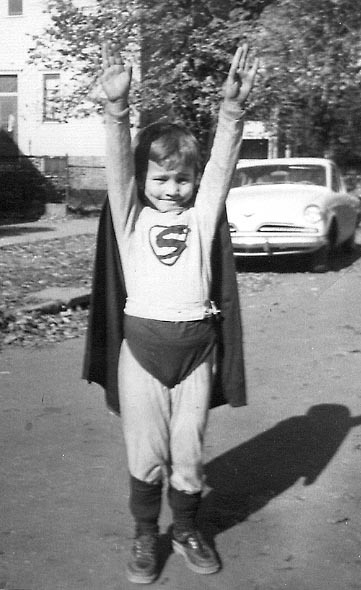 Andy is five or six, and he is ready to fly away as Superman. The costume is probably for Halloween and was homemade - Mom was always skillful in making them!